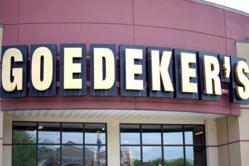 Goedeker’s, an online appliance retailer, is offering many rebates on brand-name appliances for the Fourth of July. This week we are pleased to offer incredible appliance rebates that can save our customers hundreds of dollars. This July 4th, Goedeker’s has more than a dozen rebates available on all major appliance brands including GE Appliances, Frigidaire, Electrolux and more. “In the appliance retail industry, the Fourth of July has become popular for sales, discounts and rebates on major brands,” says Steve Goedeker, owner of Goedeker’s. To learn more about the rebates available, visit Goedeker’s rebate page. All of the rebates expire within a few days.